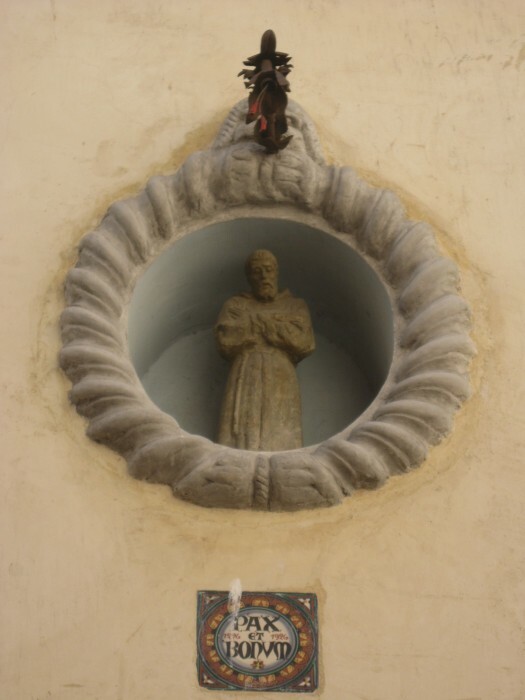 “Pax et bonum” (“peace and goodwill”), San Francesco to the townspeople as he wandered the labyrinthine Assisi backstreets preaching in the early 13th- century. His greeting lives on in the town. 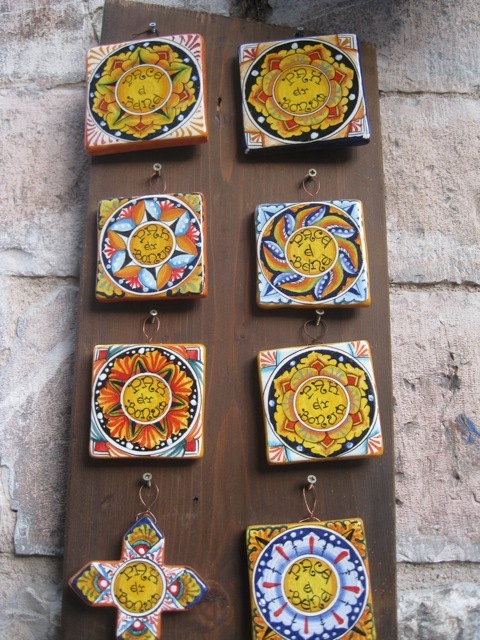 As you stroll Assisi today, walk bi-focally, so to speak: one eye down so as not to lose your footing and one eye up to catch all the details on the walls and on the rooftops (the chimneys!). 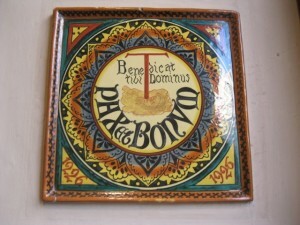 Over the Gothic pointed arches of many an Assisi entryway, you’ll see a colorful maiolica “pax et bonus” plaque. You might see a plaque above a family crest, near an image of San Francesco – and many a store displays an array of plaques in rainbow colors. 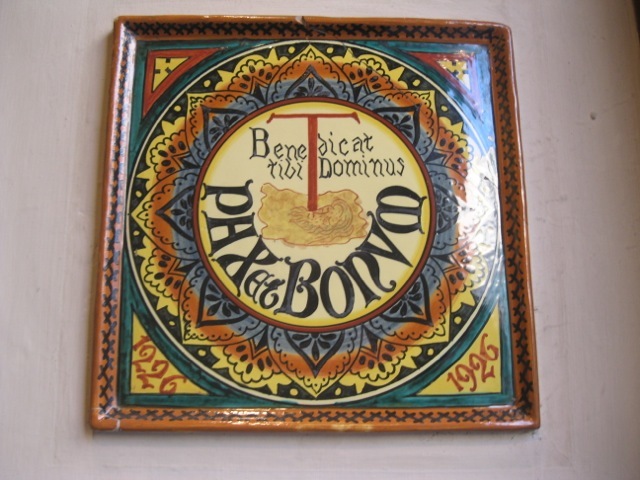 The first “pax et bonum” plaques appeared in 1926 to commemorate the 700th anniversary of the death of the beloved patron saint of Italy, Francesco. Click here for more on “pax et bonus” – and the new Pope! Thank you so much for publishing your web site. I spent 3 or 4 hours in Assisi on a tour, not nearly enough time to walk, see and enjoy everyone and everything. I will return – soon I hope (within 15 months). did not want to leave & wished I were VERY rich!